You are a journalist summoned by an aged explorer who has been “branded” with questionable credibility for over 50 years. 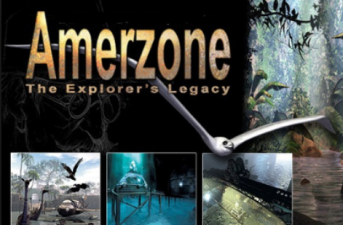 The old explorer’s tale tells of traveling to the mysterious Central American country, called Amerzone. and rituals involving the proliferation of great white birds that fly continuously from the time that they are born and never land seems incredible. This entry was posted by Daisy on February 9, 2019 at 11:55 am, and is filed under Adventure Games. Follow any responses to this post through RSS 2.0. Both comments and pings are currently closed.